This is the 2006 Nissan Pathfinder. The Nissan Pathfinder is a big and brawny sport utility. Pathfinder is built on the superb ladder frame from the big Nissan Titan pickup. As a result, it offers excellent off-road capability. 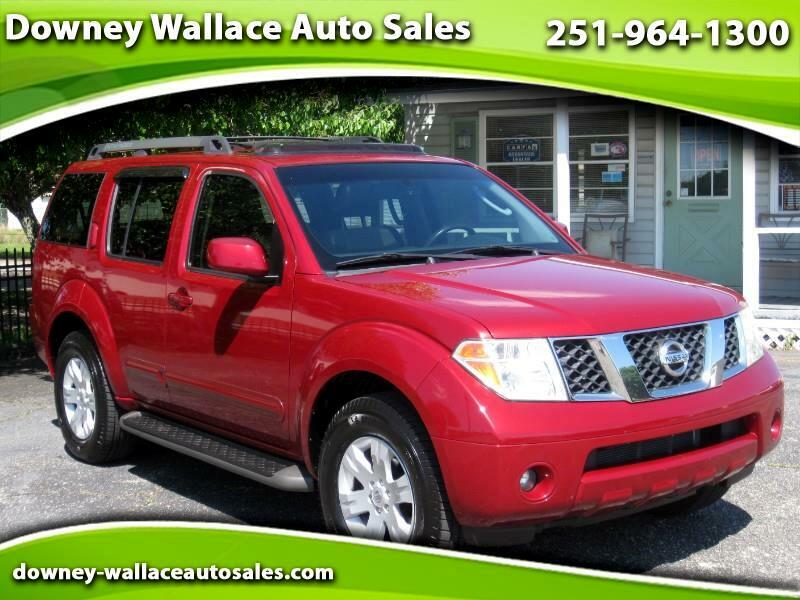 The Pathfinder can go practically anywhere and get there in style and comfort. This is an authentic off-highway vehicle. The Pathfinder offers a lot of interior space and convenience features. It also offers third-row seating for up to seven people. The Carfax report on this vehicle shows NO reported accidents and no current issue. Carfax also shows it has only had ONE OWNER! The mileage is actually low for its age. Based on the national average (15,000) it should have nearly 185,000 miles. This Pathfinder has only 136,026 miles that is equal to nearly 50,000 less miles or 3 year worth of driving. Speaking of driving, the tires are like new! If you are in the market for a stylish SUV with the third row seat and lots of eye appeal then you need to check this one out. Message: Thought you might be interested in this 2006 Nissan Pathfinder.